Finials, hand forged iron, graceful curves, twisted stock, colored glass and stamped steel leaves are all incorporated into the Panacea line of hooks. 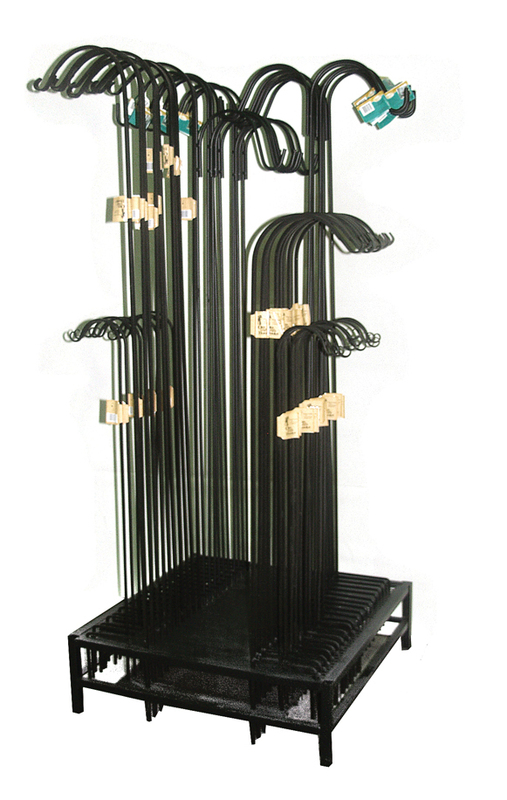 Our C-Base Display Fixture (shown below) allows you to create your own assortment of Shepherd Hooks. Looking for ideal Steel Shepherd Hook Manufacturer & supplier ? We have a wide selection at great prices to help you get creative. All the Single Shepherd's Hook are quality guaranteed. We are China Origin Factory of Forged Shepherd's Hook. If you have any question, please feel free to contact us.